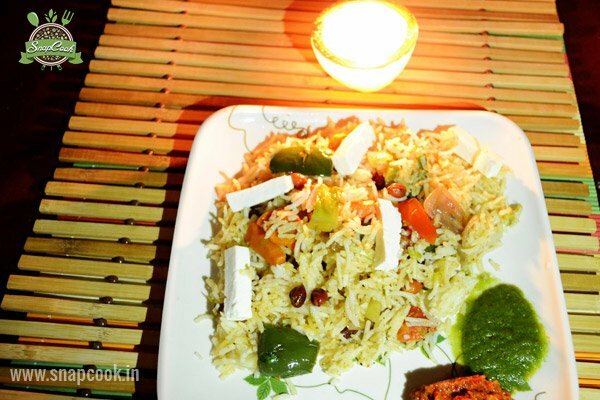 Vegetable Pulao is one of the healthiest, easy and quick dish in many kitchens.It is delicious and aromatic because of the spices used. Fry all the ingredients mentioned for the spices in a oil and grind it into fine powder. Now cook the rice along with 4 cups of water (water = 2 rice). Now keep aside the cooked rice and allow it to cool. Heat a kadai, add 3-4 tablespoon of oil in it. Now add all the vegetables to it. Fry on high flame till it changes the colour. Now add rice to the kadai and mix it gently. Add salt to taste and then put grinded masala (grinded masala = twice the salt) and mix it with rice and vegetables. Serve hot with dhaniya or lehsoon chutney or curd.